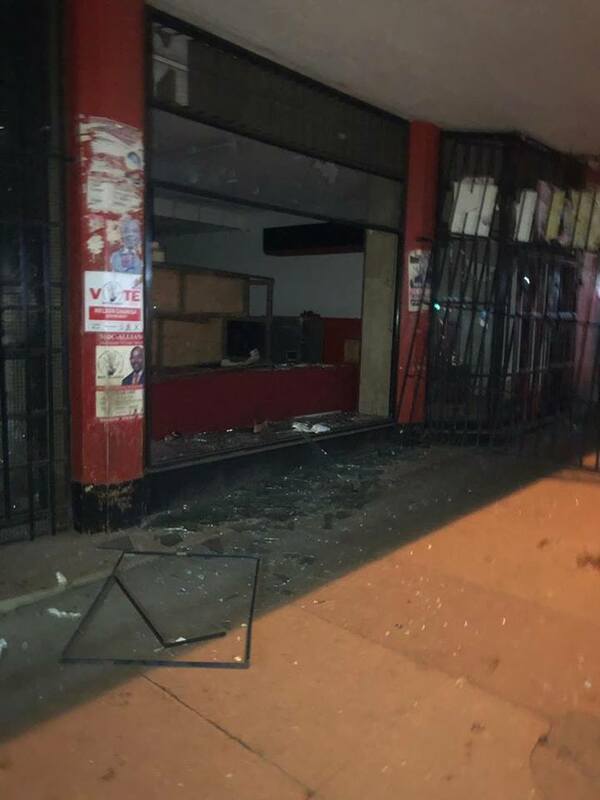 Suspected Zanu PF functionaries today attacked the MDC headquarters, the Morgan Tsvangirai House, in Harare. Statements by the police have ignored the barbaric acts as if oblivious of it, despite arriving at the scene this evening while flames were still engulfing the remains of the reception desk. Individuals driving unmarked vehicles broke into the building and left with the party's PA system before setting alight part of the building. Typical Zanu PF DNA in arson, theft and thuggery. We condemn these acts and hope that the law will take it's course as opposed to placing all the efforts on condemning MDC solidarity messages.